This year Carrowmena launch its FIRST EVER Easter Camp – bringing adventure and fun this Easter to the North Coast. The 4 Day Easter Camp will run from 10am until 12.30pm Tuesday to Friday over the Easter Holidays. Kids will get the chance to sample a full range of outdoor dry activities that Carrowmena has to offer. 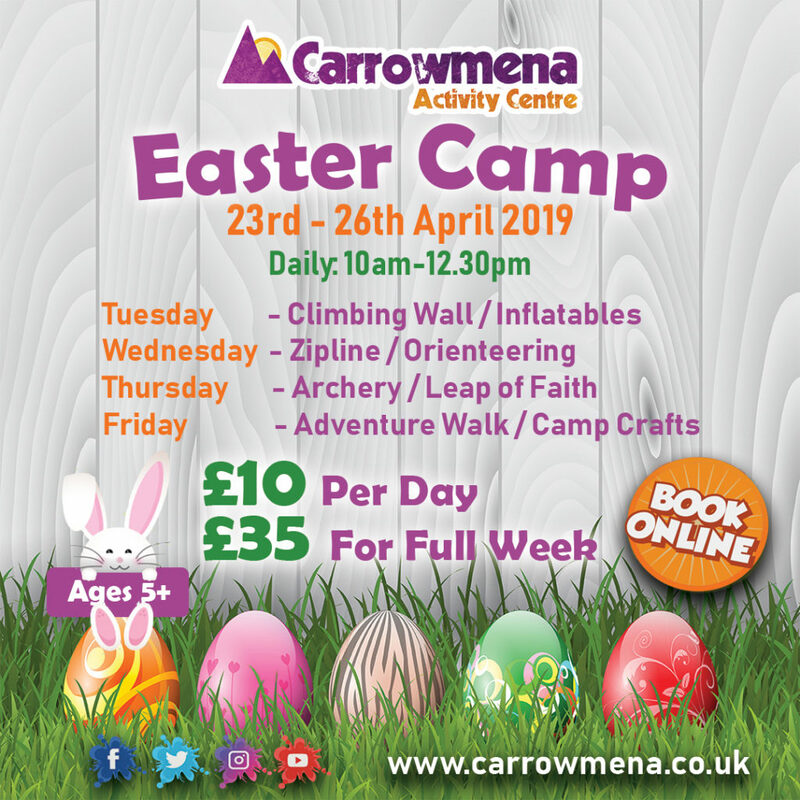 Why choose Carrowmena Easter Camp? Easter Camps spaces are limited and available now.